Every year, one curriculum assignment is a quasi-extensive reading book club with students (I say ‘quasi’ because of a few items I’ll get to in a minute). For reading, students typically have stuck to required content only (i.e. for their credit course and those we selected for their ARCs and research projects). The purpose of this assignment originated because of this: we value reading a lot to improve vocabulary, notice grammatical patterns, highlight differences in genre AND that reading shouldn’t always be a chore. 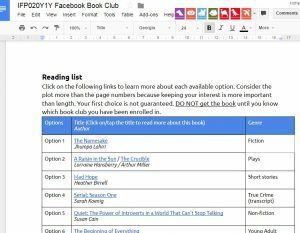 With little time –inside– the curriculum and classroom instruction to cover more reading in detail, we collectively decided to create a book club conducted solely through Facebook groups with a 5% overall mark attached. Since each instructor has a defined group of students (one or two sections of around 15 students each; we have 300+ students in total in this course), opportunity to select a book of their choice wouldn’t be possible if each instructor forced only one book onto just their group of students. 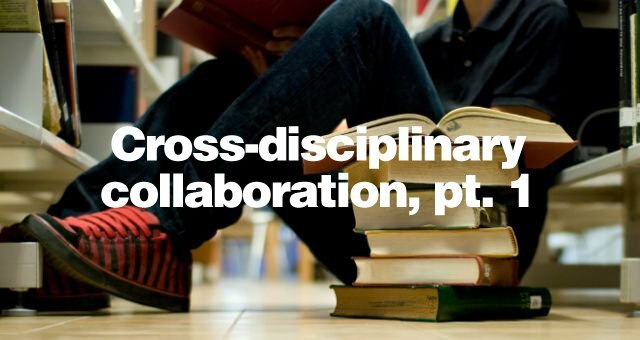 Increasing interaction between different groups of students and instructors was a factor, while not significantly increasing instructor workload.